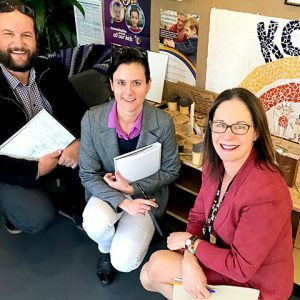 The children have been inspired by the prospect of being able to help re design JJ Holland playground, and Lucas has been particularly eager to make sure that their voices will be considered, “by the people”. The children came up with ideas that revealed their creativity and imaginations, as well as considering the practicalities. 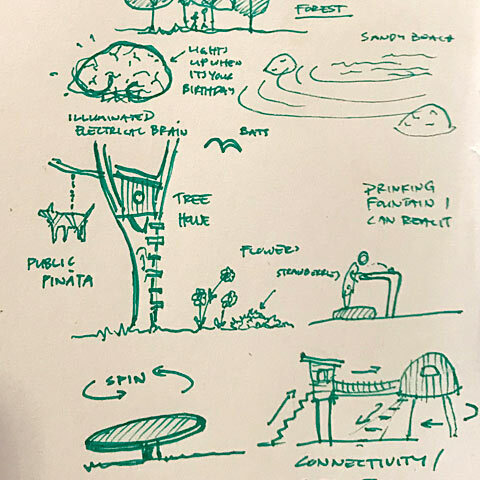 Interestingly many of the children thought about playing in the park in the dark and came up with some innovative ways to light the park at night, for instance, a brain shaped climbing frame, which “lights up as you climb on it”. The environment was also considered as they thought about using light sensors for night time play. Many of the children incorporated a space that would be “a bit scary” giving the park a bit of mystery. Showing how children use such spaces and ideas to test out their resilience. 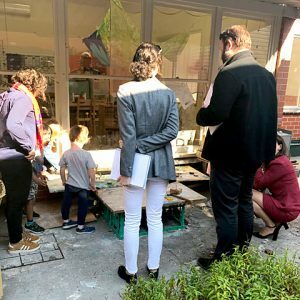 Lucas, Advay, Louis and Charlotte created the JJ Holland Park model and design. Lucas explained what the different elements were which included a sandy beach area, rocks for seals to jump on and a cargo ship. 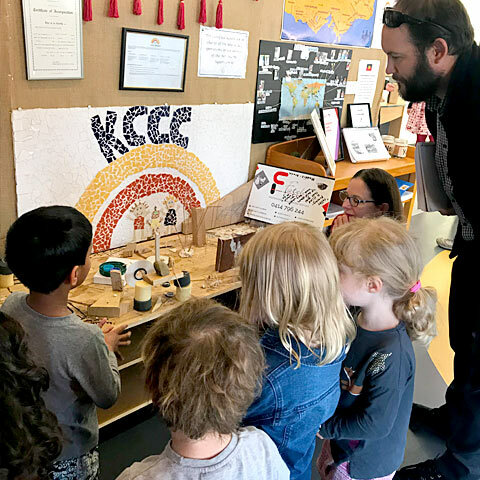 Advay, Isabelle, Sophie, Remy were delighted to share their ideas and explain the elements of the model with the City of Melbourne town planners and architects when they visited KCCC. There were many ideas for role play, such as a pirate ship and Star Wars climbing space, which you can access by climbing up large drops of hanging ice. Spencer (Boronia) also came up with the idea of accessing Jack’s giant slide by ‘being fired out of a canon- it will go boom and shoot me up into the air”. Physical space was also something that many of the children considered and they thought of a range of designs to experience height, sliding and swinging, Charlie and Aurora hoped for a “swing- a high swing”, Annabel (Acacia) suggested a “curly red slide” and Emily (Wattle) liked the idea of having a tree house. Many of the children considered food, Emran felt a shop would be good, especially one selling ice cream, whereas Jack decided we could grow our own strawberries and melons in the park. Jack dotted these all over his design, similarly Charlotte (Apple tree), wanted to brighten up the park and give it a lovely fragrance by planting lots of flowers. Trixie expressed her support for the birds living in the park and decided that they would need to have “a bird feeder with some water and we need and seeds as well”. Tom, Jake, Lucas and Advay also considered creating a labyrinth, which they made on their design board using pen and then nails. Advay- Our electric brain only turns on at night. When it turns morning it turns off. Louis- At night it turns electric crazy! Charlotte continued to explain her model as she worked on it. Charlotte- it is electric and only turns on when it is someone’s special birthday or celebration at night. The shield is for children to protect themselves from baddies. There are lots in the park. For real it will be bigger. 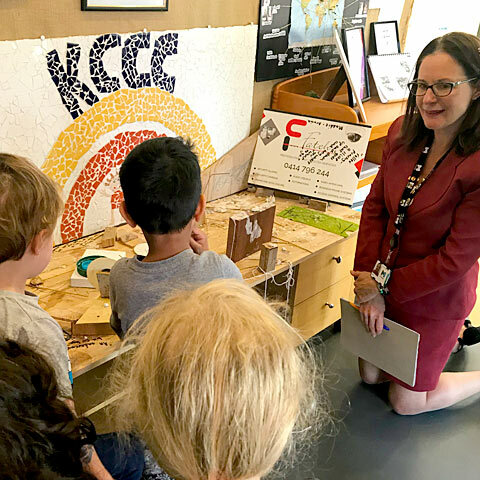 The City of Melbourne Senior Open Space Planner, Cathy Kiss and her team of architects were delighted to visit KCCC and the children. After their visit we received this message which gives us confidence that our children and families are being heard and that our relationship with the City Of Melbourne continues to strengthen. Thank you City of Melbourne.